HOW TO VIEW THE ART ONLINE: To browse through photos of paintings available, visit the portfolios shown below. Paintings are grouped in the portfolios by size and price range. 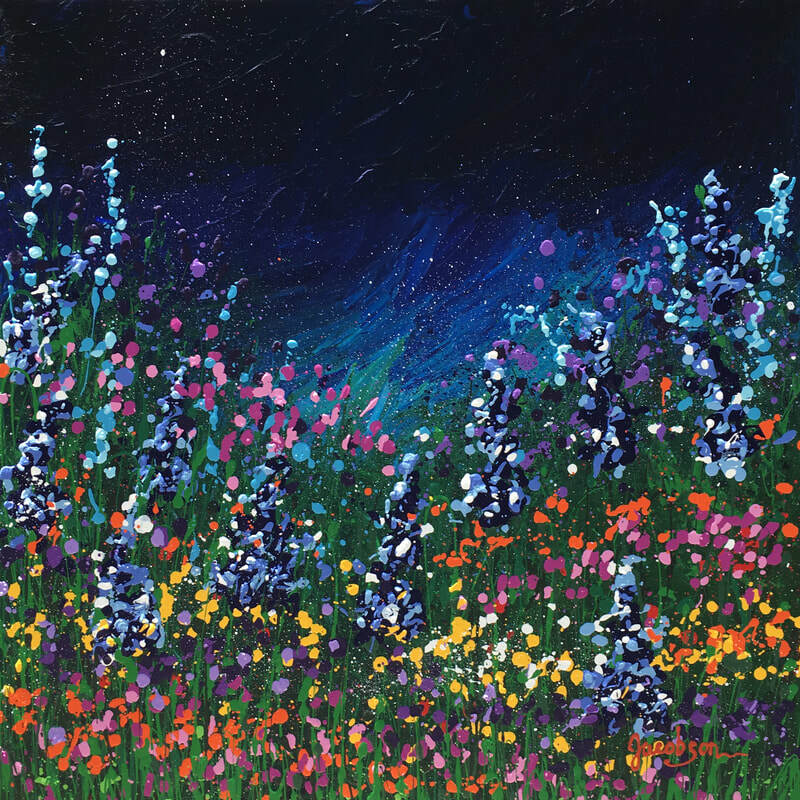 There are four portfolios of wildflower paintings (small, mid-size, large and X-large) as well as a portfolio of Linda's poppies and her other works including landscapes and aspens. Paintings in this portfolio range in size from 8x16 to 18x18x18. Also included are 10x20, and 30x12. Prices range from $395-$995. Paintings in this portfolio range in size from 18x24 to 24x36. Also includes 24x30. Prices ranging from $1400 to $2500. Paintings in this portfolio range in size from 36x48 to 48x48. This grouping also includes 40x40, 40x50 and 36x60. Prices range from $4200 to $5400. Linda's interpretation of colorful poppies. 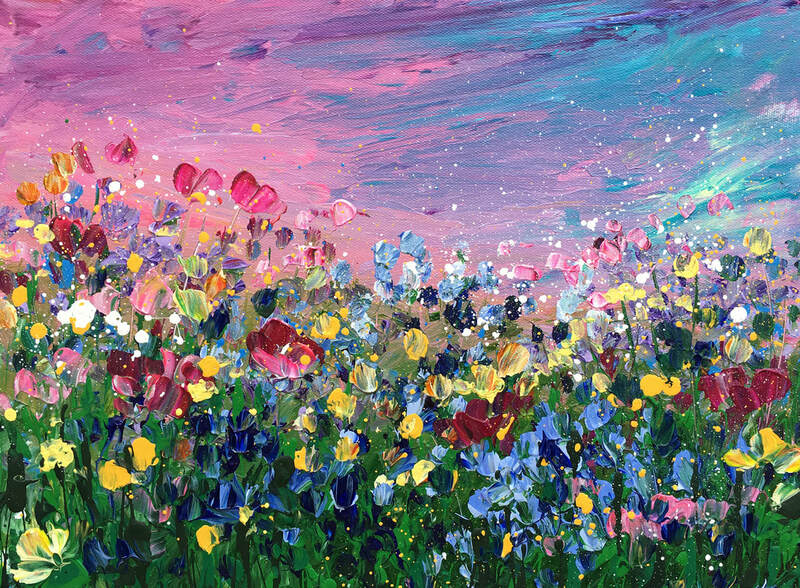 "Like my wildflowers, the poppies are inspired by blooms in nature but I use artistic license to create my own interpretation," she says. 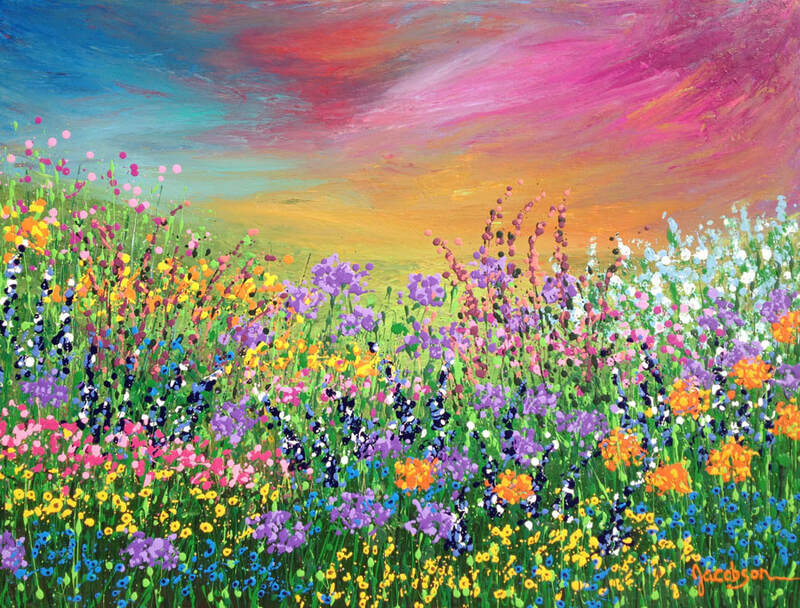 Once in awhile, Linda will create paintings with few, if any, wildflowers. These fall into her "other" category. 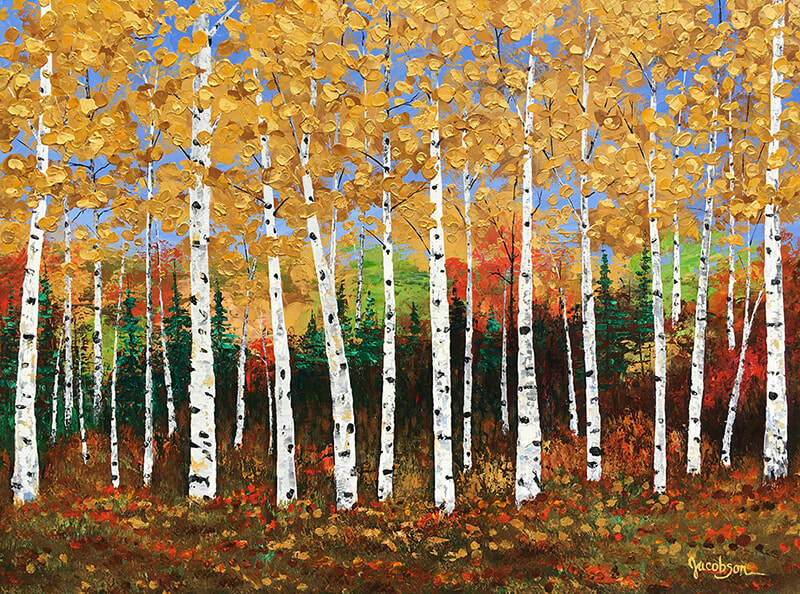 One of her favorite topics will feature Aspen trees. 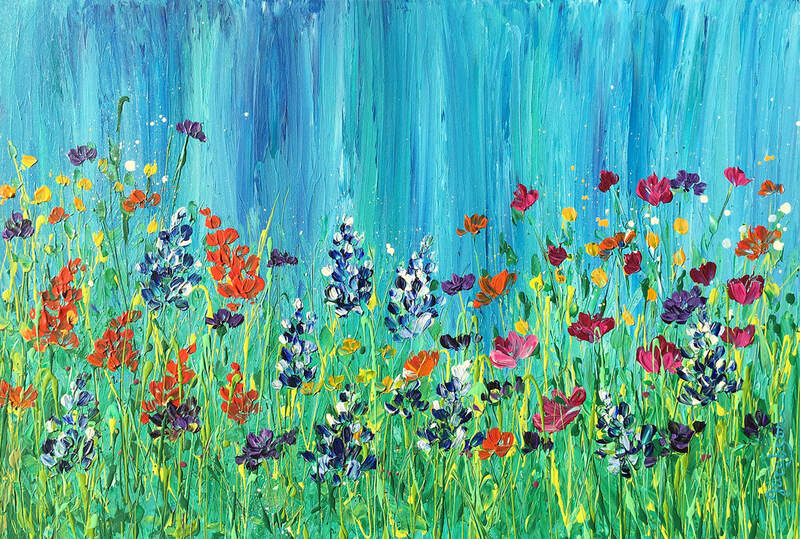 WHERE/HOW TO SEE THE ART IN PERSON: Some of the paintings are on display at Linda Calvert Jacobson Wildflower Art Gallery in Wimberley, Texas. Others may be seen in her studio, which is open by appointment only. We welcome your inquires and will work with each client to accommodate them getting to see any of the work in person. We can also have select works on hand at either the gallery or studio for you to view upon your request. Just let us know how we can accommodate you! WANT TO SEE THE ART IN YOUR HOME OR BUSINESS? For collectors within about a 100 miles of the Wimberley/Austin area, we offer free /no obligation in-home (or in-business) viewings. GALLERY REPRESENTATION: If you are a gallery owner interested in representing Linda, please contact us.